The CasITa-to-5k ran around Polliwog Park last night. 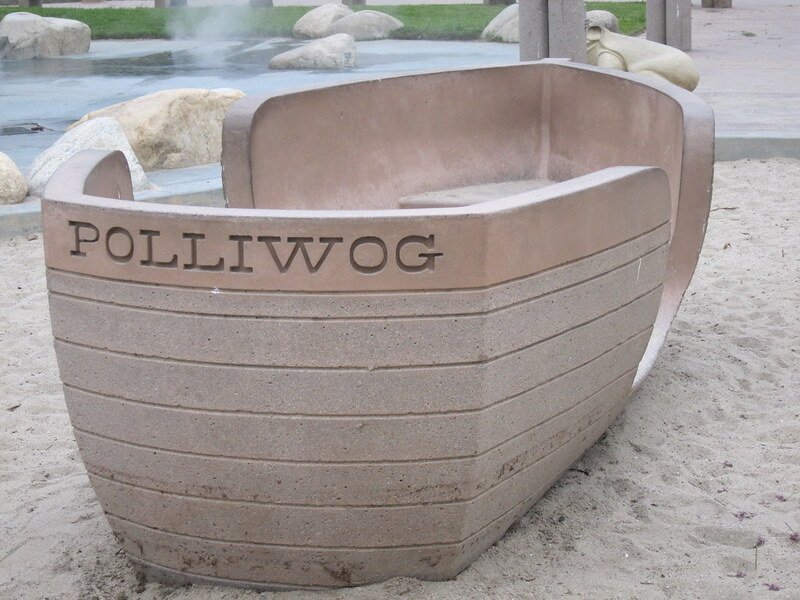 Polliwog Park is an 18 acre park that includes a grassy amphitheater, a botanical garden, a natural wildlife refuge, an outdoor gym under a shade canopy, a pool, multiple playgrounds, a 9-hole disc golf course, winding footpaths, and a large duck pond. The park's pond serves as an important environmental resource. Local storm water flows into the pond before being pumped into the storm drain system. This process allows trash in the storm water to settle and be removed before flowing to the ocean. In addition, some of the storm water is absorbed into the ground and provides nutrients for the park's wildlife. We looped around the park, alternating between 3 minutes of jogging and 1 minute of walking. At one point, CasITa-to-5k was forced to stop at an unmarked duck crossing. 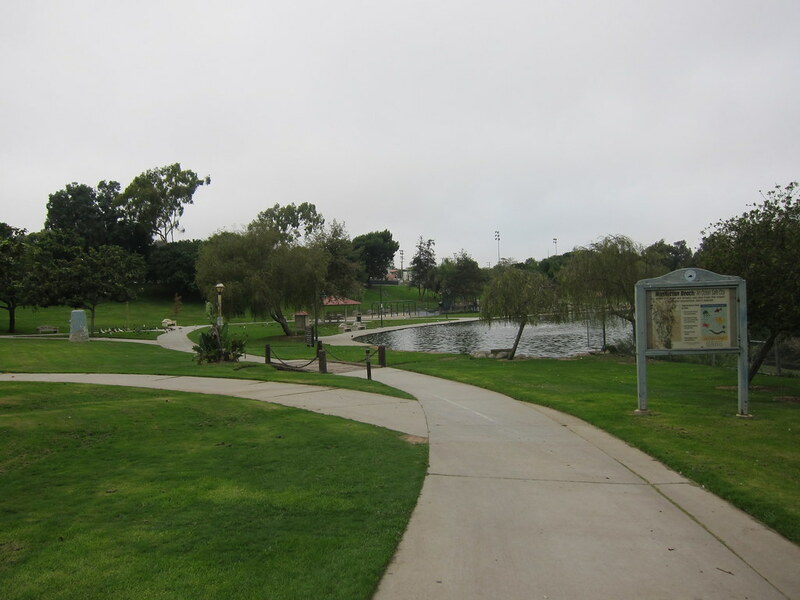 We followed the walkway past Begg Pool and around to the Manhattan Beach Botanical Garden. 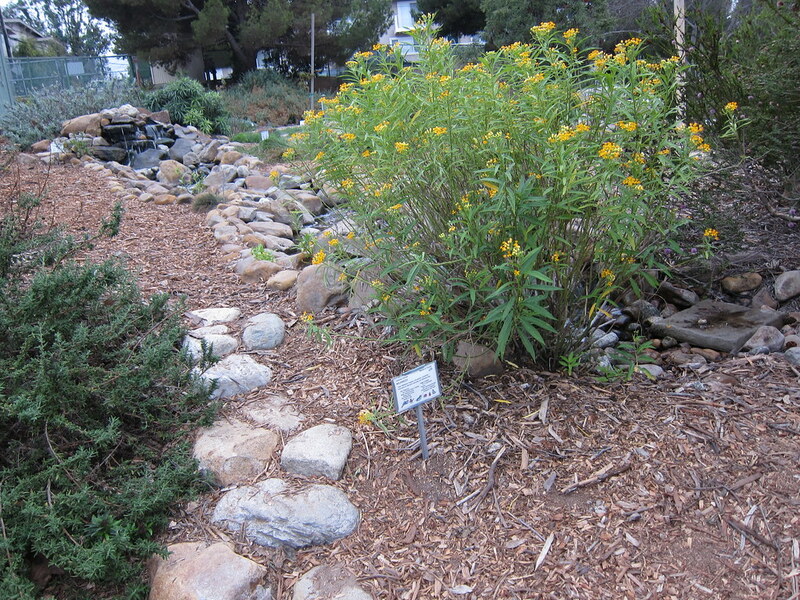 The grounds serve as a demonstration garden for drought-tolerant plants, water saving irrigation technology, and sustainable gardening and landscaping. Free classes are offered on a regular basis. Water flowed down a small rock waterfall in the center of the garden. Signage identified the colorful indigenous plants and explained how native plants help restore the ecological balance. 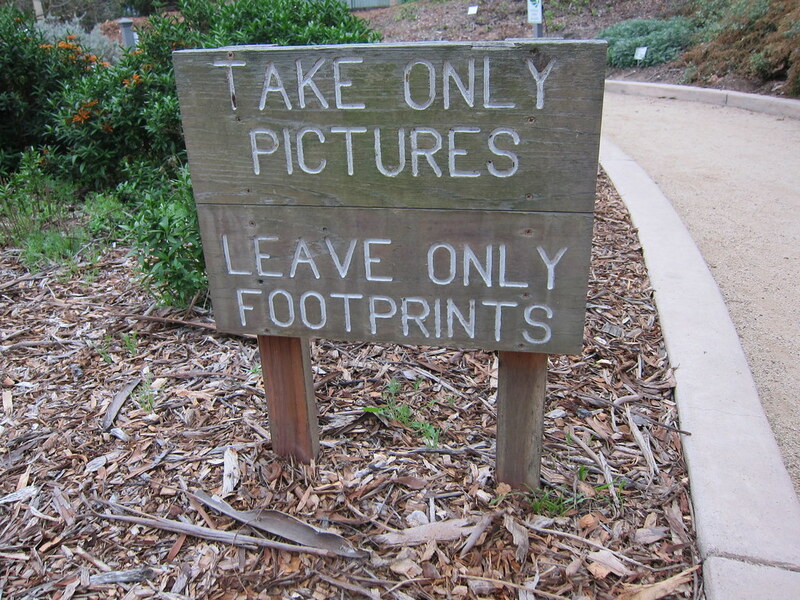 CasITa-to-5k was careful to take only pictures and leave only footprints. So cool that your group varies training locations so much! These pictures rock. Love that your posts are always full of pictures. Enjoyable post! I love duck watching and that sounds like an amazing park! 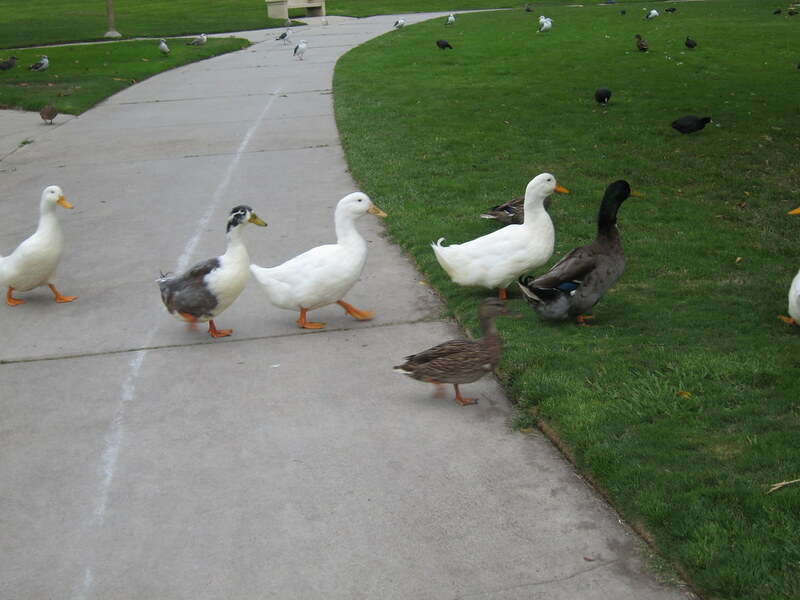 looks like the ducks had a 5k race of their own going on. I really think you get to run in the BEST spots! What a lovely run! I love the duck crossing! Beautiful pictures, thanks!